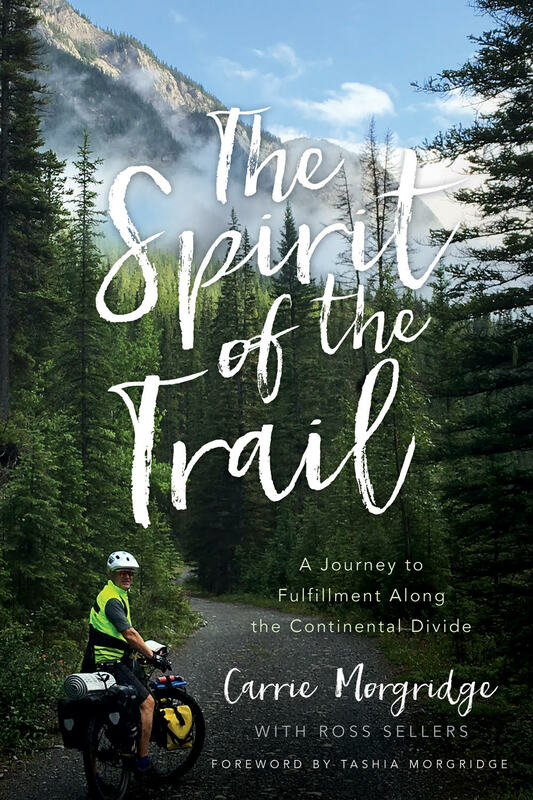 The Spirit of the Trail primarily describes the life-altering, 2,800-mile bicycling expedition on the Great Divide Mountain Bike Route (GDMBR) from Banff, Canada, to Antelope Wells, New Mexico endured by Carrie Morgridge and her husband, John, during the summer of 2016; it also frequently touches on concepts and personal traits that are of vital importance to the Morgridge Family Foundation philanthropic mission. The Foundation strives to open new paths for children and adults. As bicycling offers a sustainable method of transportation, the Foundation models sustainable philanthropy. And while a cycling adventure is hands-on, so is the Foundation’s search for worthwhile projects to support. The book is an informative (but not too technical) guide for those who are ready to tackle the GDMBR and anyone who is curious about stepping out of their comfort zone and facing a large or difficult challenge. Carrie’s voice throughout is inspiring and uplifting, even on the days when she is tired of eating out of a can, sleeping on the ground and is considering giving up, she finds a meadowlark or a field of gorgeous wildflowers to remind her of all that she is thankful for, and presses on. As with her earlier book, Every Gift Matters, their Foundation plans to contribute all proceeds to the Adventure Cycling Association in support of the Foundation’s enduring commitment to health and environmental conservation. This is a great book for this month for a variety of reasons - this year marks the 20th anniversary of the GDMBR, and May is National Bike Month, Date Your Mate Month, and National Physical Fitness and Sports Month. Carrie Morgridge serves as the Vice President and Chief Disruptor of The Morgridge Family Foundation. The mission of the Foundation is to invest in transformative gifts. Carrie is the award-winning author of Every Gift Matters – How Your Passion Can Change the World. Carrie and her husband John created the Student Support Foundation, a national organization that inspires youth philanthropy. For the past decade, they have celebrated and advanced the educator profession by creating mindSpark Learning which is focused on empowering educators to tackle the most challenging conditions in their schools through Design Thinking and other strategies. Carrie speaks nationally to education advocacy forums, at poverty alleviation conferences, and many convenings, globally, that are philanthropically focused. She divides her time between Colorado and Florida. She and John have two children who both reside in Denver. Carrie and John are avid athletes; they recently mountain biked across the country on the Great Divide Mountain Bike Route covering 2,774 miles from Canada to New Mexico in 46 days. Carrie has completed nine Ironman competitions.